When it comes to thermal tools, it's important to make the right decision so that your hair stays healthy through every press and curl. 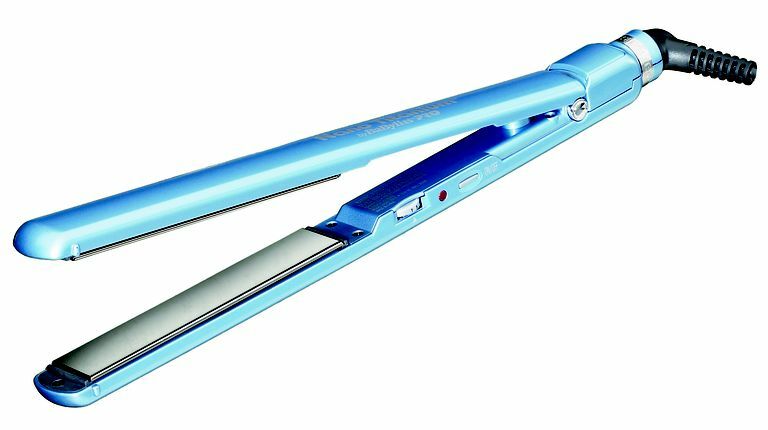 You don't have to spend a fortune, however; there are quite a few very good flat irons that you can buy for under $50. Sure, a $200 tool has certain technologies that often make it worth the price, but you can still get a steal that treats your tresses right. Once you start shopping, you'll probably notice that a lot of today's irons contain ceramic, tourmaline or titanium technology instead of the old-school plain metal plates. What's the difference between these three and are they worth it? Ceramic produces negative ions and evenly distributes heat. You'll find it on many good irons that aren't super pricey. 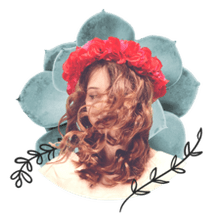 Tourmaline goes a step further by generating more moisture-locking ions which result in smooth, silky hair that's less prone to frizz. Titanium transfers heat very quickly, so you're able to get straight results using fewer passes. Ideal for thick and coarse hair types, titanium irons are great for straightening natural locks. Irons containing titanium tend to be more expensive because they usually deliver salon-quality results. Buying a flat iron including any of these types of plates is worth it for helping prevent damage. Let's take a look at 10 of the best irons you can buy for black hair. This flat iron receives rave reviews. With a 5-inch plate, you can straighten wider (not thicker) areas of hair, allowing you to finish the job more quickly. This iron heats up to a max of 450 degrees and you have your choice of plate width in 1 or 1 1/2 inches. With its ultra-thin makeup, this lightweight iron is perfect for women with very long and/or thick hair. You won't have to worry about your arms getting tired during your straightening session! Ultra-smooth titanium plates glide across the hair without snagging or pulling, and with 50 heat settings, you can get a very precise temperature. One caveat: Be careful where you purchase your BaByliss tools as there are many knock-offs available, particularly at Amazon and eBay. If you check out the BaByliss website, you'll find authorized retailers who are selling the real thing. There are few things worse than shelling out the same amount of money you'd spend on the actual brand and receiving a fake. Plus, some sellers offer a "steal" or bargain on fake irons -- if the price seems too good to be true, it usually is. Less than $50, this MHD 1-inch iron is a bargain. It contains tourmaline, which results in smooth, shiny hair. Plates that are 1 - 1.5 inches are ideal because they work on small sections, which makes the user less likely to try and straighten big chunks of hair. This iron heats up to 356 degrees in 30 seconds and goes up to a maximum of 450 degrees. It also has automatic shut-off after half an hour, which is useful for forgetful types! Another under $50 flat iron, this one is purported to work wonders on all hair types, including natural black hair. The temperature adjusts from 200-400 degrees and the swivel cord makes it easy to move while using this iron. One downside is that this one doesn't have automatic shut-off, so if you know you're not the type to always unplug your heat tools, this may not be your best option. One of the best known brands in high-quality styling tools, CHI offers many options in flat irons. This colorful pick reduces static electricity in your hair while straightening, resulting in fewer flyaways. Heat settings range from 180-410 degrees, so this max temperature is suitable for most hair textures. At under $20, this Remington iron is a fine choice for anyone who doesn't want to shell out a fortune on a flat iron. This is perfect for women who don't heat style their hair often and therefore don't really need a truly durable tool, or for the woman who's not sure a $100 iron fits in her budget. Either way, this affordable option has 30-second heating up to 410 degrees on a digital display so you know exactly what temperature you're applying to your tresses. With a 60-minute shut-off, you don't have to worry about this iron staying on all day if you rush out the door and forget to turn it off yourself. Priced around $100, this Onei offering is ideal for use with Brazilian Keratin Treatments, which require extreme heat to make the treatment stick. It heats from 140-450 degrees and has digital temperature adjustment and auto shut-off. It comes with a four-year warranty as well, which is fantastic as far as flat irons go, as many come with a warranty of 1-2 years. Another affordable flat iron, the Infiniti Pro by Conair contains 1 1/2-inch plates, for women who want slightly bigger plates. This iron reaches a max temperature of 446, just shy of the usual high of 450. Tourmaline ceramic-coated plates help to reduce heat damage via "hot spots." With a 15-20 second heat-up time, this is a great tool to use when you're in a hurry to start straightening. This iron reaches a max of 450 degrees and features 1 1/4-inch titanium plates. If you're familiar with Paul Mitchell products, you know the brand believes in quality. This is another tool featuring a digital display, so you know exactly what temperature you're applying to your tresses. If you're very concerned about the temperature you use on your hair (and you really should be), you'll appreciate the more precise measurements on this iron. From a low of 200 degrees to a high of 450, you can control the temperature 10 degrees at a time. This is a huge plus over irons that have few exact measurements on the dial. If you want to use 360 degrees, you should be able to do it without having to estimate: the digital display cuts out the guesswork. This iron comes with 1-inch or 1 1/4-inch plates and is priced around $100. There's no auto shut-off and the plates are titanium-infused ceramic, so they heat up quickly and shouldn't have any hot spots that would damage your hair. It heats to a max of 450 degrees. Blow-drying Before Flat Ironing: Yes or No?